Sharing Wheels volunteer Carter Wall, of Everett, gets a little help from his three-year-old nephew Quincy Wall in pumping air into a bicycle tire tube during a weekend work session last Sunday. Help fix donated bikes at a work party Sunday, March 31 from 11 a.m. to 3 p.m. Sharing Wheels provides pizza and guidance. Work party is at the Sharing Wheels Community Bike Shop at 2531 Broadway in Everett. Thayer Cueter for the 14th annual GroundFrog Day celebration in downtown Snohomish on Saturday, Feb. 2. Well over several hundred Slew’s fans gathered to see if he would let out a croak to signal a quick arrival of spring. However, he held his silence, indicating his forecast of six more weeks of “soggy and wet,” and even added with a chance of snow flurries to this year’s prediction. 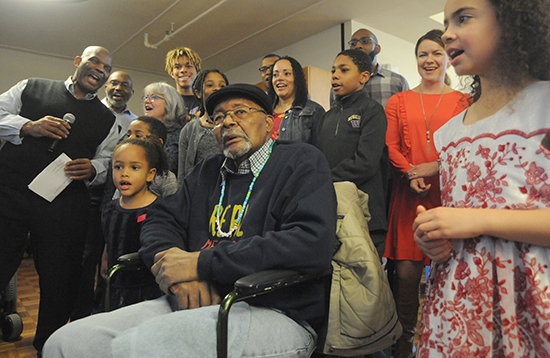 Surrounded by family members from his sons to grandchildren and great-grandchildren, Carl Gipson listens as 150 guests sing “Happy Birthday” to him at the Carl Gipson Senior Center on Saturday, Jan. 12. The barrier-breaking Everett City Councilman was born Jan. 11, 1924. He is the first black resident to serve on the council, and did so for 24 years. The center was named for Gipson in 2009 for his longtime civic involvement. One of his sons, Ron Gipson, who also spent a long time on Everett City Council, holds a microphone in the upper left. 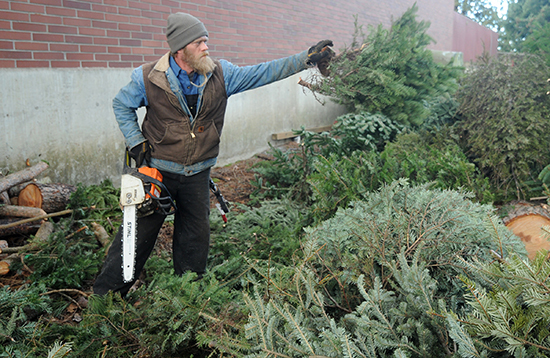 Bobby Mangrum trims limbs from one of the many Christmas trees that Everett Community College has received since the end of the holiday season to prepare them to size to be put into a shredder for mulch. also taking trees for free, story here. 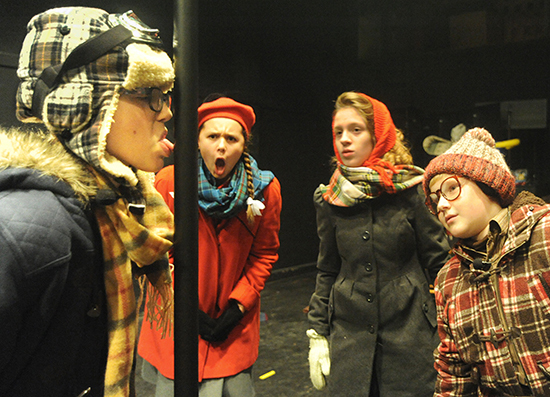 Practicing the scene in which Flick, played by 10-year-old Kalum Cruze (left) sticks his tongue to a frozen flag pole, schoolmates from left, Elianna Emmons, 11, Emmaleijh Hanhn, 13 and Andrew Tjaardra, 10, who plays Ralphie, watch in amazement during dress rehearsal on Tuesday, Nov. 13.
at the closing performance. 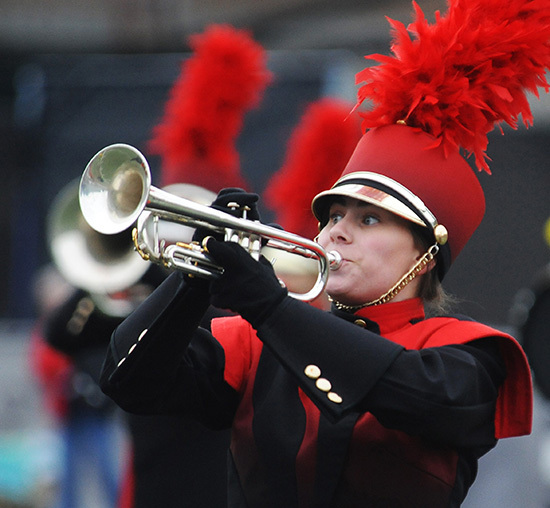 Tickets for adults are $14.50, $12.50 for students, seniors and active military, and children 5 and under are free. 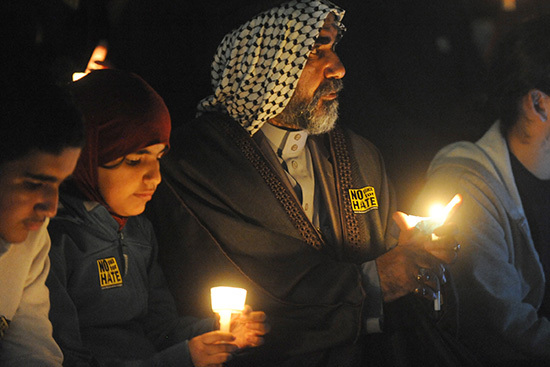 Lafti Al-Ali (right) and Bentalha Al-Ali, both of Everett hold candles as they listen to Rabbi Rachel Kort of the Temple Beth Or in Everett sing during the Interfaith candlelight vigil at the Snohomish County Courthouse campus on Thursday, Nov. 1. Several hundred people of all faiths gathered for the event to honor the 11 people killed in a mass shooting at a Pittsburgh synagogue on Oct. 27. Chef Lesa Sullivan demonstrates how fruits and vegetables that are past their sell-by date yet still edible can be repurposed into simple recipes, such as a sauteed fruit juice called a “shrub,” at the Snohomish Farmers Market on Thursday, Sept. 27. In another example, a cheese grater can shred tomatoes to be turned into a topping garnish. Sullivan also served ratatouille, where the cook throws multiple vegetables into a pot to create a meal sort of like a stew. Officials from Lake Stevens taste-tested the results. Steve Jensen shows the scale of his Lego block structure of the wardrobe from “The Lion, the Witch and the Wardrobe” book that opens the Narnia series of adventures. Last week inside his Monroe store he was placing Lego trees on the wintry ground and other touches. Ladder trucks from Everett (left) and Marysville fire departments attempt to douse the flames as fire raced through the Judd & Black appliance store building at 3001 Hewitt Ave. approaching the U.S. 2 trestle on Friday night. A wall also collapsed. The Fire Department as of press time was still working to identify the fire’s origin, but early reports it began in a dumpster have been refuted. Police also are investigating. 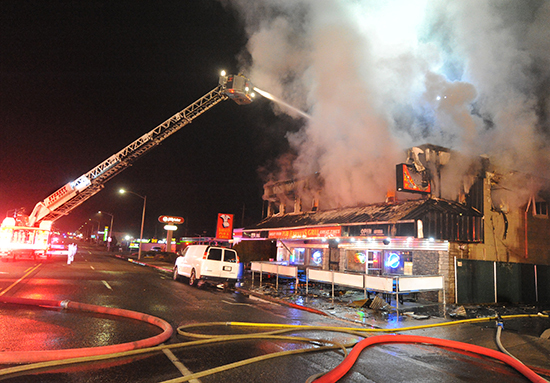 No one was injured in the three-alarm fire that began around 7:30 p.m. and took a couple of hours to bring under control. Carl Gipson Senior Center members (from left, Dianne Campbell of Lake Stevens, Joanne Drebaum of Snohomish, Jan Brown of Everett and Pam Kepford of Everett) work out during a Zumba session at the center on Wednesday, Sept. 5. The Zumba class meets Wednesdays at 4 p.m. A budget proposal the mayor presented last week would introduce a membership fee to use the Carl Gipson Senior Center. Right now, the center is free to everyone over the age of 50. Children returned to school this week, meaning yellow school buses are making stops along their routes. Here, Snohomish School District vehicle mechanic Myles Glance tightens up a screw as he finishes repairs to one of the district’s buses Thursday, Aug. 30 as mechanics readied fleets countywide. Safety is important as children load in and out of school buses. Do not pass a school bus when it signals a stop; it’s not the same as a city bus. On a two-lane road, cars in both directions stop unless there’s a dividing median. Not stopping for the bus can cost you a $430 fine by state law, and some districts have videocameras built into their buses for enforcement purposes. Edison Dippery, 2, has his hand traced onto a postcard by his mother Mary Fosse, while dad Mike Dippery helps during the City of Everett’s 125th anniversary time capsule sealing at the library main branch on Sunday, Aug 19. Well over 100 postcards that held messages of the thoughts of Everett today and predictions for the future were placed in the capsule, not to be opened until 2068. Some cards also had photos attached by the writers of themselves or places they enjoy. The capsule also holds copies of the Sunday edition of the Everett Herald, last week’s Tribune and several other items from present-day Everett. Erie Wheeler and her daughter Jaqyrie, 7, both of Everett, react to the soul music of the Everett-based BroHamM band during the 26th annual Nubian Jam at Everett’s Forest Park on Saturday, July 28. The daylong event celebrates Everett’s diversity: African-American culture was displayed through music, food, inspirational speakers, dance and varied live performances. Co-owner Taylor Barker of Waxwing Farm near Mount Vernon restocks the carrots in the organic farm’s stand at the Everett Farmers Market on Sunday, Aug. 5. The Everett Farmers Market has two different locations. One is at 2333 32nd Street from 4 to 8 p.m. on Wednesdays thru Sept. 26. The other is at Boxcar Park on 1200 Millwright Loop W. on Sundays thru Oct. 14. The Snohomish Farmers Market is open Thursdays from 3 to 7 p.m. until Sept. 27 at the Carnegie Building off of First Street in Snohomish. On Aug. 15, the Monroe Farmers Market will have their last event of the season from 3 to 7 p.m., at Monroe Plaza in the old Albertson’s parking lot. Austin Schram of Neenah, Wisconsin performs a flip while competing in the Junior Men’s division semi finals on opening day of the 2018 Nautique WWA Wakeboard National Championship event at Monroe’s Lake Tye on Wednesday, July 25. MONROE — Wakeboarders convened for national championships last week at Lake Tye. One local competitor explained the joys and challenges of riding the waves to victory. Keeping her eye on the competition, a young participant in the watermelon eating event glances at a competitor. The watermelon event was just one of the many events competition at this year’s Kla Ha Ya Days celebration in Snohomish on Saturday, July 21. The annual event which attracts visitors from all over the state, and featured the traditional parade, eating competitions and an appearance from the Dino Crew Northwest’s dinosaurs, along with a carnival and circus. between the police and at-risk children. Now-retired Everett Police Sgt. Manny Garcia, who once played professional soccer in Mexico, created the academy to teach soccer skills as well as promote positive life skills to the city’s youth. After being rained out on Saturday night, the main event for the annual Summer Showdown at Evergreen Speedway was postponed to Sunday, July 1, as crews were able to dry out the asphalt. The big-money Showdown attracts national Super Late Model circle track racers to Monroe. Above, in turn four, Chris Davidson of Pearland, Texas (No. 14) is ahead of Wyatt Gardner of Lake Stevens (No. 3) and John Lathrop Jr. of Puyallup (orange car, left) during the early laps of the race. National racer Preston Peltier won the 200-lap race for the second year in a row. Davidson was second and Robb Touchette of Lake Stevens was third. Weston Gile, 5, from Snohomish runs through three aqua jumper fountains during a sunny day at the Willis Tucker Spray Pad on Friday, June 15. The Spray Pad is open until the warm weather ends in September at Willis D. Tucker Community Park. EVERETT — Four-year-old Jason Smith of Everett has his teddy bear examined by Kaiser Permanente physician Lindsey Pepper during the Imagine Children’s Museum’s annual Teddy Bear Clinic on Saturday, June 23. Young visitors to the museum were given a free bear by Kaiser Permanente where they then had their bear examined by medical staff prior to taking them home. EVERETT — The Music on the Plaza concert series started with a bit of rain as the Seattle based band New Age Flamenco performed for a sparse audience due to the weather on Wednesday, June 13. Above, band members Ernesto Pediangco, left and Vidas Svagzdys perform one of the band’s signature style Latin and Caribbean songs. The concert series continues Wednesdays at 11:30 a.m. through July 25 at the Snohomish County Campus Plaza Amphitheater in Everett, at the corner of Rockefeller Avenue and Wall Street. No concert July 4. SNOHOMISH — Camden Smith, 5, from Snohomish gets to sit in the driver’s seat of the Snohomish County Search and Rescue’s “Kid Copter” with guidance from Deputy Bill Quistorf during the Snohomish Police Department’s open house on Friday Jun. 15.
seniors released butterflies in the pollinator garden to see them fly. The pen pal exchanges discussed how birds, butterflies, bees and other pollinators live. In the photo, Cascade View second grader C.J. Cressey, 8, marvels at the sight of one of the released butterflies sitting on his hand. Sixty second graders from Cascade View were teamed up with 55 high school students to release the approximately 60 butterflies. Rebecca Minelga kneels by new trainee Ogden, a Labrador, at the Snohomish Library last week with her sons Sebastian, 1, in her arms, and Oliver, 5. MONROE — Carla Stewart, who plans to run 55 miles during the Monroe Relay for Life on June 2 and 3, stands in the garden at the Sky Valley Food Bank on Thursday, May 24. She is a cancer survivor and the 55 miles are to honor 55 people. She also raised more than $3,800 for the American Cancer Society for the walk and memorial event. With a light drizzle much of the morning, attendance at the 22nd annual ABATE Sky Valley Motorcycle Show was light, but by mid-day the sun came out and downtown Snohomish began to fill up with motorcycles and riders of all types. Backhoes took to work and demolished Hal Moe Pool Monday, May 14. The site at Third Street and Pine Avenue is turning into a green space park. The lettering and a few other elements of the building were removed for preservation before demolition. Hal Moe Pool closed in 2007. Hal Moe Pool broke ground July 25, 1970 and a community fundraiser paid to open it. It received a roof in 1988. Sisters Christina Morehouse (far left), Liz Dickson (pink coat behind Morehouse) and Kathleen Capetillo (behind the table) talk to a gentleman who lives on the route that their father Henry Groeneveld worked as the postman at a little postal worker appreciation event the sisters put together for Saturday, April 28 outside the Snohomish Post Office on Avenue D. The event was for Groeneveld, whose birthday would have been April 29. He died in December after presumably going into the Snohomish River. There was a large community search effort. Nick and “Skip” Hammons in the dugout together at a game last year. Skip retired last year after 25 years as head coach, but still can be found at the games as Nick coaches. An event honoring Skip’s career will be April 27 at 4 p.m. at the baseball field at Snohomish High. Robbie Winter, 11, of Mill Creek runs a small freight train along the Pacific Northwest On30 Modular group’s display during the 27th annual Model Train Show and Market Place at the Evergreen State Fairgrounds in Monroe on Saturday, Feb. 24. The two-day weekend event has become a tradition for train fans young and old every year. The event sponsored by the United Northwest Model Railroad Club attracts model railroad clubs and vendors from throughout the Northwest with proceeds from the show benefiting the Snohomish County 4-H club. 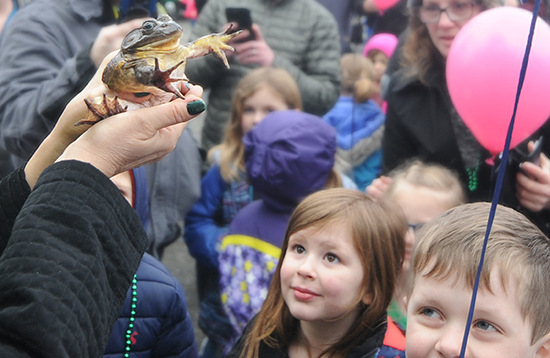 Spring is just around the corner, the frognosticating Snohomish Slew indicated by giving a croak at Snohomish’s 13th annual GroundFrog Day Saturday, Jan. 27. Children lined up for a kiss on the nose from the bullfrog, such as the child above. Eleanor Leight, 95, talks with a few women from the audience following the Leight Fantastic dance team’s holiday performance at the Snohomish Senior Center on Monday, Dec. 11. From left, Tully VanAssche, Annie VanAssche, Ava Larson and Ashley Rice sing “Silent Night” along with the audience during the annual “Night of Christmas Jingles” at Hidden Meadows Farm, near Snohomish, on Sunday, Dec. 10. The event brings back the time when the farmers and community people came together to forget the stresses of everyday life. Grabbing onto his hat as he runs with a horde of people behind him, The Grinch made an appearance for the fourth annual Chase the Grinch run on Sunday, Dec. 3. About 800 runners participated in the run along the Centennial Trail from Snohomish to Three Lakes Road and back for the 5K runners, or Snohomish to Machias and back for the 10K runners. Having arrived on the top of a Snohomish Fire District 4 fire engine, Santa Claus makes his way through a crowd of his fans to the Avenue A gazebo where he sat and talked to children regarding their Christmas lists on Saturday, Nov. 25. The annual visit to downtown Snohomish by Old St. Nick marks the opening day of holiday shopping and sales by local businesses. Judge Eric Liebes. He went on to win a group two in the hound group. The Whidbey Island Kennel Club hosts a two-day annual All-Breed American Kennel Club show every year in November at the Evergreen State Fairgrounds which includes conformation, junior showmanship, obedience and rally trials. This year, 1,374 dogs were entered into the show. Thomas Tilton plays the accordion as he and members of the Leavenworth-based polka band Alpenfolk perform while students try out a dance during a German language conference held at Snohomish High School on Saturday, Nov. 18. More than 350 German language studies students from across the state attended this year’s conference, which included this lesson in German polka dancing. The Dean family decorated this home on East Grand Avenue in Everett for the annual Riverside Neighborhood Halloween contest. Summer Dean’s decorations include twinkly orange lights, gravestones, skeletons and more. There are six contest categories: best overall, best theme, best daytime, best nighttime, scariest and best block. Home nominations among neighbors close Saturday, Oct. 21. Jack Kuehn of Everett finishes shining the chrome parts under the hood of his 1940 Ford Deluxe 2-door sedan at the 35th annual Snohomish Classic Car & Hot Rod Display on Sunday, Sept. 24. Kuehn, a retired Everett police officer, was one of about 500 owners of classic vehicles and hot rods that showed off their rides in downtown Snohomish. Snohomish community members join in for a free Sunset Slow Flow Yoga class held at Skydive Snohomish in the middle of Harvey Airfield. This class was lead by yoga instructor Haley McElderry from Spark Hot Yoga Studio on Thursday, Aug. 31. The studio closed for one week for a remodeling project. Wesley Bruton, 2, of Redmond looks up at the gauges, while his sister Caroline, 4, pulls the cord to blow the whistle on the Imagine Children’s Museum’s newly remodeled train exhibit on Saturday, Sept. 9. The two were accompanied by their grandmother Tammie Enders of Snohomish. The museum in Everett reopened on Sept. 9 after being closed for a week for maintenance and cleaning. It has several refurbished and new exhibits including the steam locomotive that features a simulated firebox and button-activated locomotive sounds. Participants of the “A Night to Remember - A Time to Act” candlelight vigil in commemoration of International Overdose Awareness Day light candles as photos of victims are displayed nearby on Thursday, Aug. 31 at Thornton A. Sullivan Park in Everett. The Evergreen State Fair runs through Sept. 4. Carsen Monaghan of the Whatcom County town of Deming (right) does his best to stay on the log as he competes with Eric Towne of Flagstaff, Arizona in the log rolling demonstration as part of the International Lumberjack Shows at the Evergreen State Fair in Monroe on Sunday, Aug. 27. Benjamin Nimnich, 2 (left) and his brother Gideon, 4, (behind Benjamin) both of Mount Vernon play on their father’s 1948 International Harvester Farmall tractor while attending the 29th annual Stock and Antique Tractor Show and Threshing Bee at the Frohning Farm south of Monroe on Saturday, Aug. 12. Each year the three-day event presented by the Sky Valley Stock and Antique Tractor Club features a large display of farm and logging tractors from as early as the 1920s. Fire District 4 firefighters and witness Ray Vermillion look where a crow had flown into the power line transformer and blew it on Monday, July 24. Power to the Tribune offices, the chiropractor’s office and Farmers Insurance office was out for almost one hour. Everett Police and Fire Department’s Marine 1 moves into position to battle flames from a number of boats that burned at the Everett Marina on Saturday, July 8. The fire started on a boat having mechanical problems while coming to dock. One person had minor injuries and was treated at the scene. The fire damaged five boats on the D Dock, four of which sunk. Ciara Cleary restocks the apricots at Stocker Farm’s Country Market produce stand on Tuesday, June 27. A few produce stands in the Snohomish River Valley have opened up, and there are several u-pick farms now open. Right now, strawberries and raspberries are coming in fresh daily as are Walla Walla onions, and blueberries will be arriving within the next week or two and a blueberry u-pick site will be opening later this month. The before-school and after-school YMCA daycare program at Cedar Wood Elementary School created an American flag made of origami peace cranes. They presented it to the school as a thank you gift. In the photo above, Cedar Wood Principal David Jones and YMCA teacher Shirley Bryant stand with the origami peace flag. Axle Skinner, 3, of Mill Creek, maneuvers his bike through a field of half-cut tennis balls that represent rocks as he runs through the bike rodeo event during the third annual Snohomish County Bike Bash at Willis Tucker Park on Saturday, June 24. Sponsored by Community Transit, Snohomish County Parks and Recreation and The Bridge City Church, the event featured the safety and skills-oriented bike rodeo, along with other bicycle oriented events. Snohomish County Fire District 7, was also on hand providing low cost bike helmets and fittings. With early arrivals parked along First Street, motorcyclists pass by as they arrive for the 21st annual Snohomish Motorcycle Show on Sunday, May 21. Thousands of motorcyclists and bike enthusiasts packed the downtown area, as motorcycles of all types from old to new lined First Street as well as several of the side streets. The event also featured a demonstration by the Seattle Cossacks motorcycle stunt team. Organized by Sky Valley ABATE, the event proceeds are donated to various community donations throughout the year. Jacqueline Williamson (with the flag of earth) and Jenny Lutz (with the globe), both of Bothell, lead a march up W. Marine View Drive along the Everett waterfront as more than 400 people participated in the People’s Climate March of Everett sponsored by the local chapter of 350.org. The march coincided with President Donald Trump’s 100th day in office and started at the 10th Street boat launch, finishing with a lecture in a field near Legion Park. Myckel Johnson, 4, of Burlington (left) and Hailey Carlin, 4, of Kirkland converse as they wait for judging during the Easter Bonnet contest that presided the 37th annual Snohomish Easter Parade on Saturday, April 15. Thousands lined the street for the traditional event as the sun kept peeking in and out of the clouds all day. Several people wander past the flowering trees that are in full bloom in Everett’s Grand Avenue Park on Saturday, April 1. 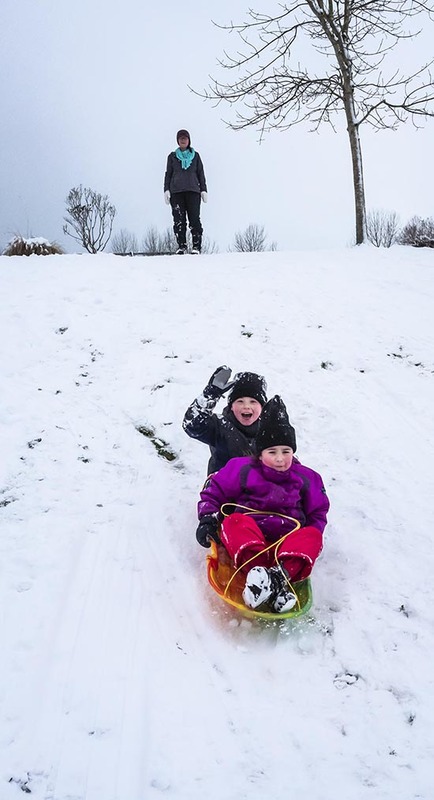 After a record-setting month of rain through March, much of Snohomish County was able to experience a brief break from the wet weather as the sun came out for a part of the afternoon and evening on Saturday. Harper Carden, 5, of Marysville holds on to her pygmy goat and waits her turn, while her grandmother Julie Davis of Arlington walks her goat past the judges during the annual Evergreen Pygmy Goat Association show at the Evergreen State Fairgrounds in Monroe on Saturday, March 25. Over 70 goats from all over the Northwest participated in the judging this year, with the youngest being just three-months-old. From center left, Sarah Lunstrum of Monroe, Melanie Modrell of Duvall and Jill Brumbaugh of Monroe pick up debris while cleaning up a homeless encampment on the south bank of the Skykomish River outside of Monroe on Saturday, Feb. 25. More than 80 volunteers, some from as far away as Oregon and Wenatchee, spent the morning clearing out the encampment near the Lewis Street Bridge. The cleanup was able to get done in less than two hours; it was organized by the nonprofit group RiverJunky, which cleans up waterways and campsites around the state. SNOHOMISH — For good luck, Snohomish Slew gets a kiss from Princess Amphibiana, Jenny Hatch, prior to his Frognostication at the 12th annual GroundFrog Day celebration in Snohomish on Saturday, Jan. 28. Slew’s keeper Thayer Cueter is holding up the American Bullfrog. As the tradition goes, if Slew croaks, its sunny skies for spring in the Pacific Northwest, if he does not, then expect more wet weather. 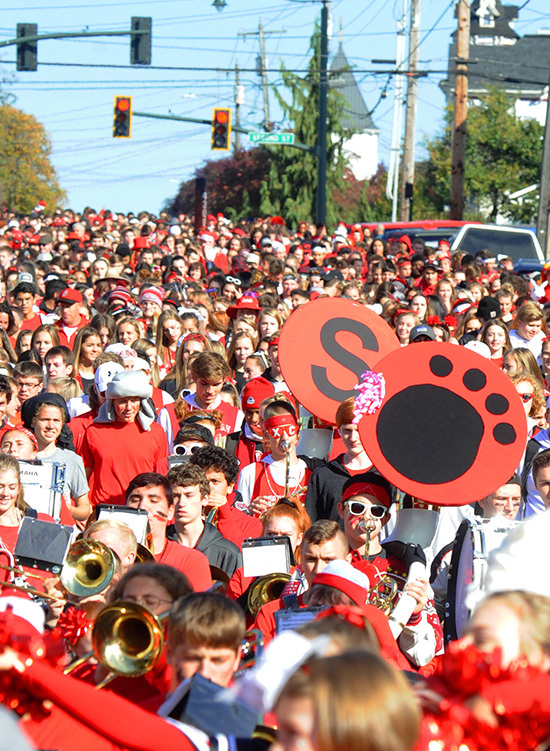 While it was faint and barely heard, Slew did make a sound predicting sunny days ahead, which excited the crowd of over 100 of Slew’s fans in attendance. Diners line up during a chilly lunch hour on Friday, Jan. 6 to buy meals from food trucks lining the Wetmore Avenue Plaza in Everett. While the main portion of the plaza is fenced off for maintenance work on the fountain, it and the frigid temperature didn’t stop people from dining at the trucks. The food trucks convene at the plaza as part of an effort called “Food Truck Fridays” put on by the Washington Food Truck Association. The organization plans to open a second food truck space soon in the Silver Lake area with a grand opening Monday, Jan. 16. That food truck lot will run weekdays from 11 a.m. to 2 p.m. and 4 to 7 p.m. a block south of Costco at 1831 Silver Lake Road. The food truck association launched in 2015.